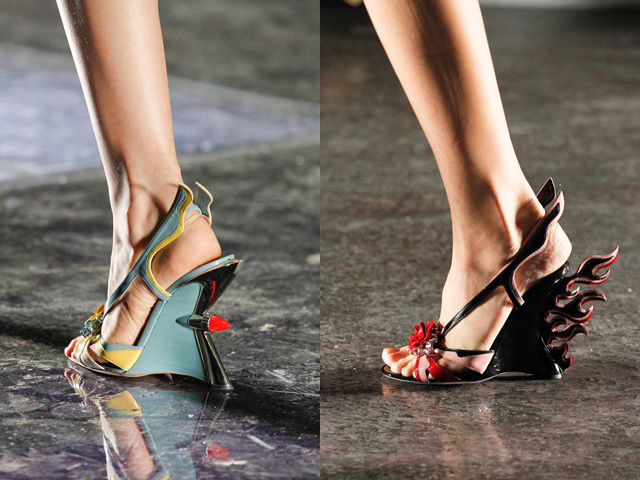 I have never, ever swooned over shoes like I am with Prada's Spring 2012 collection. I know that they're tchotchkes in every sense of the word and guess what - I don't care. Yes, they're one note and totally ostentatious but that's what I love about them. The sheer boldness of these shoes is unbelievable. Intellectually I appreciate the references as well. Flames streaming off the back of the heels allude to high speed pursuits, whilst the complimentary pairs featuring brake lights represent inertia as a counterbalance. Perhaps it is the push/pull of automobiles, the duality of car culture, that the collection sought to explore. After all, the great irony of driving is that the vehicle is the one "doing" the moving; us humans sit stationary inside. 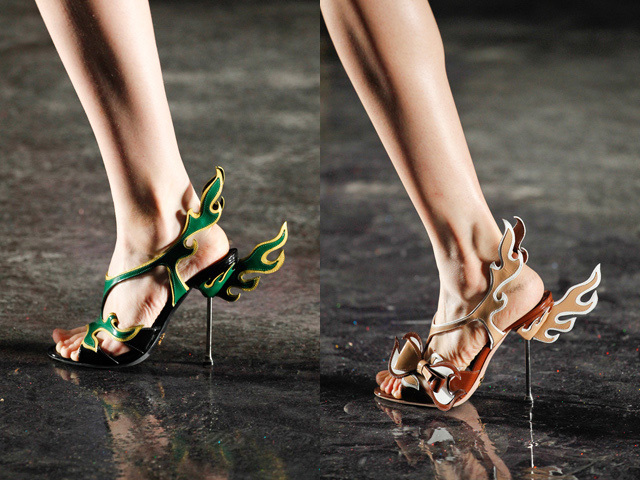 The idea of designing heels to look like cars as a riff about feet as the "engines of motion" on the human body would be a very Prada move, now wouldn't it? 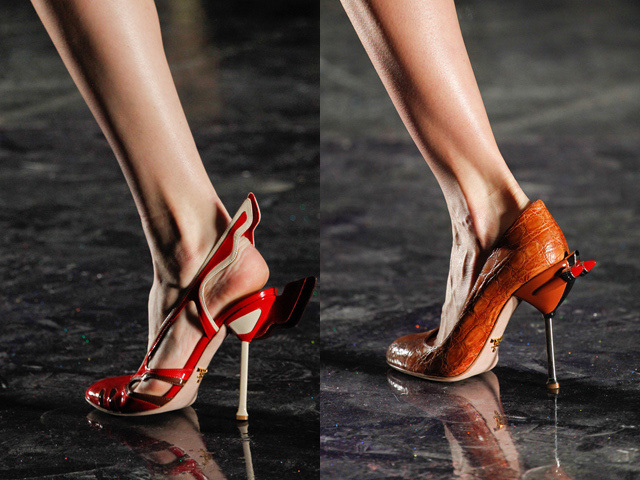 Creating heels for the luxury fashion market that are literally modeled after cars is a risky move. A move that anyone but Miuccia Prada would probably be lambasted for, but as Garance famously said, 'Everything Prada touches turns to gold." In this case, it's clear Miucca still has the Midas touch. My personal favorite, the pair I hope to own, are the red and black wedges in the photo above. Which of these shoes are you liking the best? Do you love these shoes as much as I do?